11:14 am - Heading to the polls. It's official! Canada's heading to the polls on October 14th. I'd be a lot more enthused if there was actually a party that I can have even just the tiniest bit of hope in in the running, but alas, they all look like a bunch of squabblers once again, just like they did back in the 2006 elections. It'll most likely be another Conservative or Liberal minority depending on how the wind blows that day. 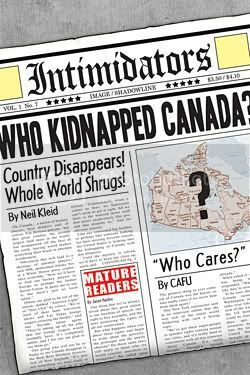 You know, I think Canadians should be thanking our lucky stars that our country's developed and stable enough so that even when all the politicians ever do is petty bickering and self-promoting the country still doesn't collapse (or at least...not yet anyway, we can hold out for a few more years). If this kind of government was in charge in any other country that was any less stable or developed it'd be massive chaos with uprisings and rebellions, coup d'etats and assassinations by this point. Ah, the Bloc, you hear about how Duceppe wants Harper to enshrine that Quebec's a nation into the Canadian Constitution? XDDD I thought this whole Quebec separatist thing was way over, guess not. There was a letter to the editor in the school newspaper today with a guy bitching about some chick at a football game during 101 week who was leading some cheers was wearing a "I SUPPORT QUEBEC SEPARATISM" shirt. Boy was this guy mad, lol, I found it interesting, we're quick to support separatism on other peoples' soils, but our own? No, never!! I had to think of you when I saw this. That's a great picture! LOL!! Which party are YOU gonna vote, anyway? If its no secret of course (i wont tell anybody). Lol, too true. Better to sit back with a bag of chips and watch some tv rather than headache over organizing rebellions. Me? Hmm...that's a good question, still pondering on it ever since the election's been called. I'm kind of biased since I volunteer in two NDP members' offices, and it's not like I'm opposed to their platforms, but what worries me is a) are the platforms realistic and b) are ANY of the political parties going to remember their platforms and stick to it after getting elected. Who knows, I may just sit this one out, take a break from this whole democracy thing, you know? Lol. I reckon its not better to sit back with chips n beer, cos later you wont remember anything, and yer life would've passed you by without leaving a trace. And no, they'll remember only that part of their platform which suits their interests. Well that's where you have all these constitutions and human rights crap coming in which is supposedly suppose to prevent the minority from getting squashed under the majority. It's a contradictory system really, which is kind of fun when you're debating because you can't lose since if you're in the majority you can pull the democracy argument on your opponent and if you're in the minority you can pull the minority rights must be protected argument. Of course, it also means your opponent can do the same, lol.